As most Napa Unified students return to school on Wednesday following a significant earthquake over the weekend, their district is getting some financial support from Oakland Raiders legend and NFL Hall of Famer Willie Brown. Brown delivered a check for $50,000 on behalf of the team to School District Supt. Patrick Sweeney Wednesday afternoon in Napa - a fitting spot, since the football team holds training camp in the city, about 45 miles north of Oakland. A spokesman said $25,000 will go toward Red Cross efforts in Napa and $25,000 will go directly toward the schools. "We're excited," said Jennifer Stewart, executive director of the Napa Valley Education Foundation, where the annual operating budget is about $500,000. "We're going to immediately see what the teachers need." 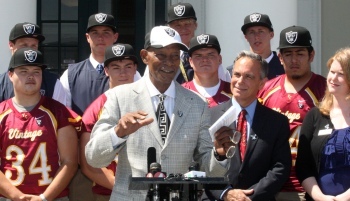 Willie Brown speaks during the donation press conference, Wednesday, Aug. 27, 2014. The money is a donation and a sign of good will to students who haven't been to school since Sunday's 6.0 earthquake, which damaged more than 100 buildings. All but one of the Napa public schools are expected to re-open to students on Wednesday. Stonebridge Charter School will remain closed as engineers still need more time to investigate possible structural cracks. According to the district, none of the schools suffered structural damage, though some need to have broken windows and cabinets replaced for fixed. The former cornerback was inducted into the Hall of Fame in 1984, for his years when he played on the team between 1967 to 1978. In a promotional video on the Raiders site, the team touts a beautiful train ride into wine country, saying the city is not "only optimal for grapes, but it's optimal for football." 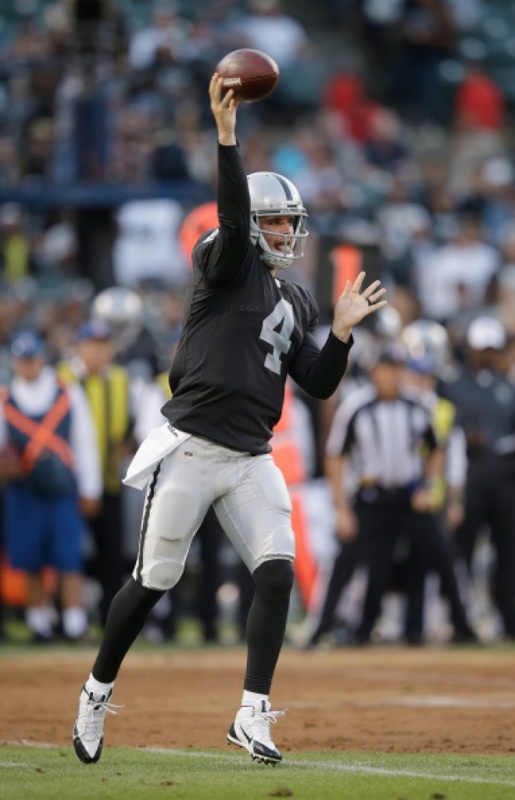 In July, the Raiders completed the team's 19th training camp in Napa, using the Napa Valley Marriott and the adjacent Redwood Middle School as the team's summer base.